Auto loans, for most people, are the number one payment they need to make. Without use of a car getting to work, getting children to school, getting food, getting medical care, and many other essential day to day tasks all become much harder. This is a major detriment, and the norm, for too many Americans now. A recent report from the Federal Reserve Bank of New York reported that 7 million Americans are about 3 months or more behind on their auto loan payments. Furthermore, overall performance of auto loans has been slowly getting worse. In 2018 loans heading for serious delinquency, late payments of 90 days or more, went up to 2.4%. A seemingly small, but ultimately major leap from the 1.5% of loans heading for serious delinquency in 2012. So, how can you make sure that you don’t fall behind on your payments and keep your car? Here are 4 tips to keep in mind. This is the most obvious tip, but also the most essential. You can plan any way you want to pay off your loans, but if your payments are not on time you simply will not be able to pay your loan back. Each payment will also become more expensive with each day late, depending on the interest rate and late policies of where you took the loan out. 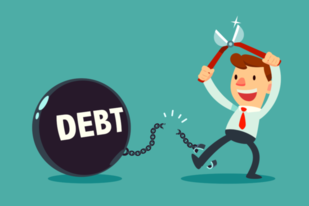 This will only add on to your debt, and if you are already struggling to pay your loan paying late might make it impossible. You can avoid late payments by making payment due dates a regular reminder in your calendar or to-do list. Most loans will also give you the option to create an auto-payment where they take the money directly from the account you want to pay your loan from. These payments are sometimes calculated in a way that could take you quite a while to pay off, so adjust the plan according to how you fast you want to pay the loan off. Your credit score is vital to know before you apply for a loan to help pay off your car. This number will determine what potential loans you could be in line for from a lender. This is because your credit score determines for the lender your capacity to pay back the loan. With a good credit score the lender becomes willing to give you the loan you want because they can trust you’ll pay it back. A study from financial literacy website Wallethub found that in the first quarter of 2019 the difference some with fair credit will spend on their auto loans versus someone with excellent credit is about 4 times more. The worse your credit score is, then the more likely the terms of your loan won’t be in your favor, or you just won’t be given an auto loan to begin with. With an uneven payment you have the option to round your payment up, and potentially knock off your loan sooner. While you will be adding more money to each loan payment you make it doesn’t have to add up to an bank breaking amount. Take for instance an auto payment of $264.12 a month rounded up to an even $300 month. Per month that’s an extra $35.88, and over the course of 12 months that’s an extra $430.56 you’re paying without adding a drastic amount to your monthly payment. Little by little this can help you chip away at your loan faster than you originally intended. Refinancing your loan can be a great way to speed up your loan repayment and make the most of your credit score, especially if you find yourself with a better credit score then when you first took your loan out. Often, refinancing your loan doesn’t have to be through a third party as you can go back to the original lender to refinance. Just ensure that you have all proper documentation and proof of a better credit score than when you first took the loan out. In most cases you will get a lower interest rate that is fixed and will not change through the course of your repayment. However, be careful of the interest rates on the market, in some cases they will work out in your favor and in others it might be better to just keep your current loan plan.